Well, cats and kittens it's that time again. What time? Star party time! The opening of the late summer/fall star party season brings with it my Annual Road Tour. 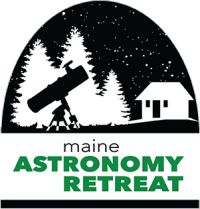 First one I'll be speaking at is the Maine Astronomy Retreat, which will be underway as you read this. I hope to maybe do some brief reporting from the scene, but don't expect too much in the way of a blog for a couple of weeks (Maine is followed closely by Wisconsin's Northwoods Starfest). So what's an Astro-blog deprived astronomy maniac to do? Look to your left. Hard as it is (for me) to believe, this blog has been rolling along for ten years now. There's plenty of stuff you might have missed. Some silly, some misguided, but mostly fun, anyhow. Issue 502: How Low Can You Go on the Messiers? As in “How little aperture can an experienced observer use and still get rewarding views of the brighter objects from the backyard?” This is, friends, a follow on of sorts to last week’s edition. If you read that, you know one of the things that have concerned me of late is the size and weight of my telescopes and my ability to handle them comfortably and safely, not just years from now, but right now. Last time, I mentioned, somewhat in passing, that I’ve been having back problems and that that might make my continued use of my Zhumell 10-inch Dobsonian problematical. That was brought home rather starkly the last dark of the Moon Saturday night when I transported the Dob, Zelda, to our club site for an evening—I thought—of relaxed deep sky cruising with a few good friends. Zelda, a GSO scope with a solid, steel tube is not overly heavy. At least that was what I thought till that night. My backache had at least lessened, if not gone away, so I wasn’t overly concerned about loading Z into the 4Runner, setting her up at the dark site, and reloading her in the truck at the end of the evening (I can leave the scope and gear in the 4Runner overnight after I get home, unloading the next morning, unlike when I lived downtown). I was feeling good and looking forward to some nice views on a good if not perfect evening. And Zelda did deliver those views: spiral arms in M51, countless stars in M10 and M12, and even a little resolution of great Omega Centauri, which was descending and only barely above the tree line. No, conditions were not perfect. The Splinter Galaxy, NGC 5907, was not as prominent as it usually is in a 10-inch, but it was not much better in the 15-inch set up next to me. Finding that galaxy and anything else I wanted to look at was duck soup with the aid of my 50mm RACI finder, my Rigel Quick Finder, and SkySafari running on my ASUS tablet. So, I was one happy little camper? Uh-huh. Until about two hours into the evening when my back began to let me know I was going to pay for loading and unloading the Dob. I considered sticking it out for a little while longer, but then the wind changed and the smoke from a nearby field that was being burned off blew over and settled onto the observing field. I reluctantly gave the evening’s run up as a bad business. 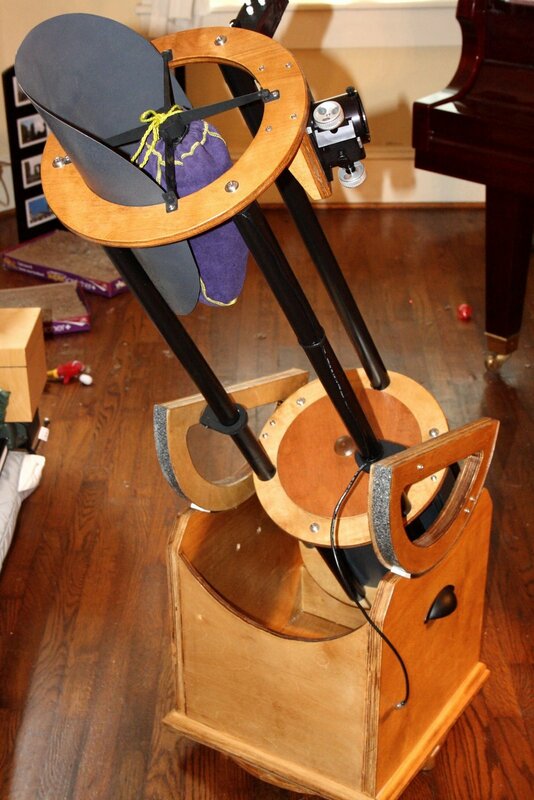 Back home, I pondered what to do about my telescope/back problem. Not just at the dark site, but in the backyard. While my backache has alleviated over the last week, I am still wary, and have decided that for now I’m only using reasonably light telescopes. Not just at the dark site, but in the backyard. Wary? I am at the moment afraid to lift the 10-incher’s tube. A pretty pass, doncha think? So, what shall I do? The obvious candidate for use while I am on the DL, I decided, was Charity Hope Valentine, an ETX125, who I neglected to mention last time. I simply forgot about her. Maybe because she’s been squirreled away in the sunroom closet in her case almost since we moved to the suburbs. She is light, if not as light as an ETX90, and would, I thought, not be a challenge for suddenly decrepit me to move around, not even with the tube/drive base affixed to the tripod. Best of all, she is a complete little system with built in goto via the Autostar computer. The only ancillary item I’d need would be a battery or AC power supply and a dewshield. She would have been almost perfect, but the poor little thing has gone to that big star party in the sky after being my faithful friend for a decade. I set her up in the backyard one night last week, hoping for passable if not exactly transparent skies when, suddenly, the rain began to fall. I threw a cover over Charity and scurried inside. “Maybe tomorrow,” I thought. Late the following afternoon, I thought I’d check to make sure Charity’s LNT real time clock was working—I’d replaced the battery the previous day. Hooked her to a jumpstart battery, threw the switch, and she beeped as normal, but the LED display on the Autostar controller did not illuminate. What the—? Nothing I could do helped, so I shut her down, disconnected the Autostar, and took it into my shop, The Batcave, for examination. What the problem was was immediately evident when I opened the case: a couple of chips had been turned to charcoal. How had that happened? There’d been a tremendous nearby lightning strike that morning. While the scope was not plugged into AC, she was close enough to the strike that the Autostar had been fried. But good. What to do? My tests indicated there’d been some internal electronic damage to the scope, too. There’s not a lot of active circuitry in the PE, but there is some. I might try to repair the scope and replace the Autostar with one off eBay or something. 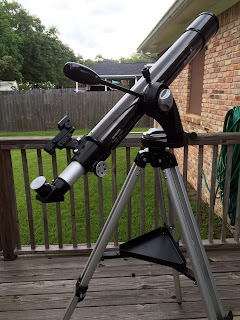 Or I might put the scope on some sort of new mount—maybe a driven alt-azimuth mount like one of Celestron’s SE rigs. But I am not going to do anything immediately. I have decided to see how it goes with my back. If my problems abate completely, I’ll go back to using the 10-inch. If not, I’ll either fix Charity or defork her. Having a light scope on a driven mount, a driven alt-azimuth mount, will be a good thing if I am not all better soon. But what do I do for now? What do I use at home and at the dark site while I am waiting for my back to tell me what to do? Simple: I use my good old SkyWatcher AZ-4 un-driven alt-az mounting. It’s very light and has a Vixen style dovetail saddle, so I can use any one of several scopes with it, and especially my refractors. Which refractors? The mount will happily accommodate either my C102 4-inch f/10 or a 4-inch f/6.5 Explore Scientific achromat. Either of those should be bearable even if my backache returns. But only marginally bearable, and the C102 is approaching “Danger Will Robinson!” territory. I decided to start out smaller and lighter, with the 3-inch (80mm, actually) f/11.4 SkyWatcher OTA that came with the AZ-4. I haven’t used this pretty OTA a whole lot, she was just lagniappe; I really only wanted the AZ-4. But from what little I’d used her five years ago, I knew she was more than sufficient for casual looks at the Moon and planets. The big question was whether she could also deliver at least somewhat satisfying Messiers while I am under the weather. 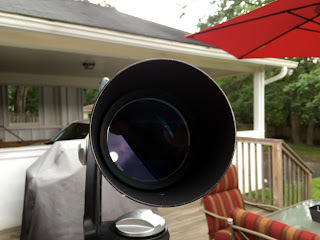 Yes, I could use my undeniably (much) better William Optics Megrez II 80mm instead, but I like the idea of the 910mm of focal length the SkyWatcher delivers. That makes her more effective on the planets—I can get higher magnifications without fooling with Barlows and very short f/l eyepieces. Having more power eyepiece for eyepiece also keeps the sky background darker in my somewhat light polluted backyard. The weather—naturally—prevented me from answering the above question about the little scope’s efficacy for some time. Typical Mobile summer: thunderstorms every afternoon, often extending into the evening. Even if the clouds disperse they leave plenty of haze behind. And there are the bugs, of course. And walking into the night is like walking into an absolute steam-bath. Not the sort of environment that impels you to grab a telescope large or small. Nevertheless, as the Allstar Game was winding down the other night (it had become obvious my National League team was gonna lose to the American League), I fetched the SkyWatcher 3-inch refractor, whose, name, by the way, is “Eloise,” out of the Batcave and sat her in the backyard to warm up—the Batcave’s air-conditioner was going full blast, and if I’d uncapped her objective immediately it would have promptly fogged up. With the game over, I ventured back into the backyard to, first of all, reacquaint myself with what the telescope would do on the Solar System. Eyepieces? Nothing special, just my old Orion/Pro Optic wide-fields and a 6mm Celestron (Vixen made, I think) Orthoscopic that is at least 35 years old. The telescope is equipped with a 1.25-inch (only) focuser, but I hadn’t found that a limitation. Her aperture and focal length give a decently wide field at 25mm. Alright, onto Luna. The just-before-First Quarter Moon looked terrific. Of particular note was the Straight Wall, which was near the terminator. It was so sharp, like an obsidian knife lying on the lunar surface. I bumped the magnification up to close to 150x with the Ortho, and the image remained good, very good. Higher? I could have gone higher; the little scope takes magnification well, but at 150 the image is getting dim thanks to the small aperture. Otherwise? Color, for example? What color? Yes, I know for the chromatic aberration in an 80mm achromat to be really well-controlled, it needs to be at a focal ratio of at least f/15, but no color did I see with this scope at a smidge over f/11 (admittedly my eyes are not as sensitive to spurious color as they once were). Away from the terminator, the disk remained sharp, if maybe not quite as sharp as in an APO—still looked good, however. There is little doubt in my mind that a dedicated observer could do some fairly serious lunar exploring with this telescope. By this time, Jupiter was getting low in the west, and was in fact behind a pine tree to the southwest. To get a look, I’d need to move the scope. That is one of the beauties of Eloise on her AZ-4. Light. No polar alignment or goto alignment. Need to move her? Just pick her up and freaking move her! 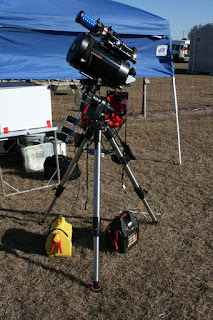 Which I did, lining up Jupe with the SkyWatcher’s red dot (“BB gun”) finder. While I have a 50mm RACI finder I can use on the telescope when needed, I don’t often need to. The Combination of the red dot and a 35mm – 40mm eyepiece makes it easy to get anything I want into the field. The verdict on Jupe? Sharp, particularly the Galilean moons despite the low altitude. There was no false color I could see other than that produced by differential refraction thanks to the altitude. The major cloud belts were easy and high in contrast. When the seeing would occasionally get really good, I could see some detail in those bands. Saturn was nice and high by this time, so I headed that-a-way, figuring the altitude of the planet and the excellent seeing on this evening ought to allow Eloise to really strut her stuff. At 150x, the ringed world was just lovely. Cassini’s Division was sharp, disk detail obvious, and a couple of Moons in addition to Titan were visible with the Ortho. Honestly, I can’t say the image was much worse than what I saw in a beautiful 4-inch Takahashi at the dark site a while back. I already knew the 3-inch could deliver the goods on the Solar System, however. 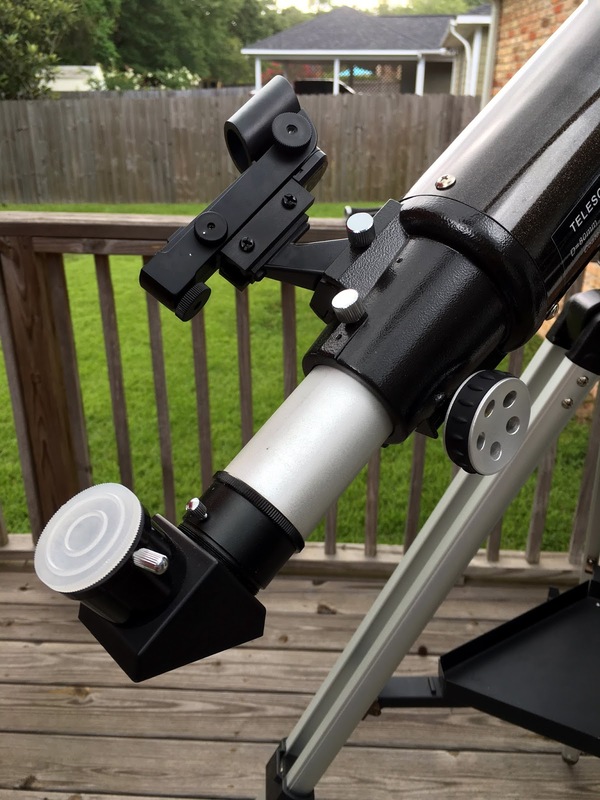 Her objective is of excellent quality, and prior to the SCT explosion of the 1970s a good 3-inch refractor was the chosen tool of many a Solar System observer. The question was would the views she’d give of the Messiers and other brighter DSOs be good enough to lure me into the backyard with her on a regular basis while waiting for my back to decide whether it wants to punish my faux pas further? To find out, I began with an easy one, M57, the Ring Nebula in Lyra. It’s bright and small and easy. Which doesn’t mean it’s always terrific in a small scope in light pollution. I’ve often struggled to make out the “donut hole” with a 4-inch Newtonian in light polluted areas. I inserted a 20mm Expanse eyepiece and positioned the scope on the Ring’s well remembered spot. And there it was. It was too small at 45x to make out much, but, yes, there it was, easy to see and shining bravely amongst the dim field stars. Upping the magnification to 182x with a 5mm SkyWatcher wide-field eyepiece made the ring shape and the fact that the nebula is elongated rather than perfectly round reasonably easy. How would Eloise stack up against other similar aperture scopes in similar conditions? The C102 would have done a better job, but only a bit better. However, the ring shape of the nebula was easier to make out than in a 4-inch reflector in comparably punk conditions. I would say the view was pretty much equal to what we had in a friend’s StarBlast (4.5-inch rich-field Newtonian) from the dark site a couple of weeks back. In other words? Not bad. Back in the 60s, people liked to say that a 3-inch refractor is the equivalent of a 6-inch reflector. That’s not true now and wasn’t true then. In a 6-inch, the Ring is more sharply defined and it’s elongated shape far easier. There’s just no way to get around the 6-incher’s 400% increase in light gathering power. Still, a 3-inch will show the same details, just in slightly subtler fashion. M13 was, I realized, riding high. Almost too high, nearing culmination. Where has this summer gone? Hercules’ Great Globular was OK. I did not note any resolution on this night, but the cluster looked grainy, as if it wanted to resolve. 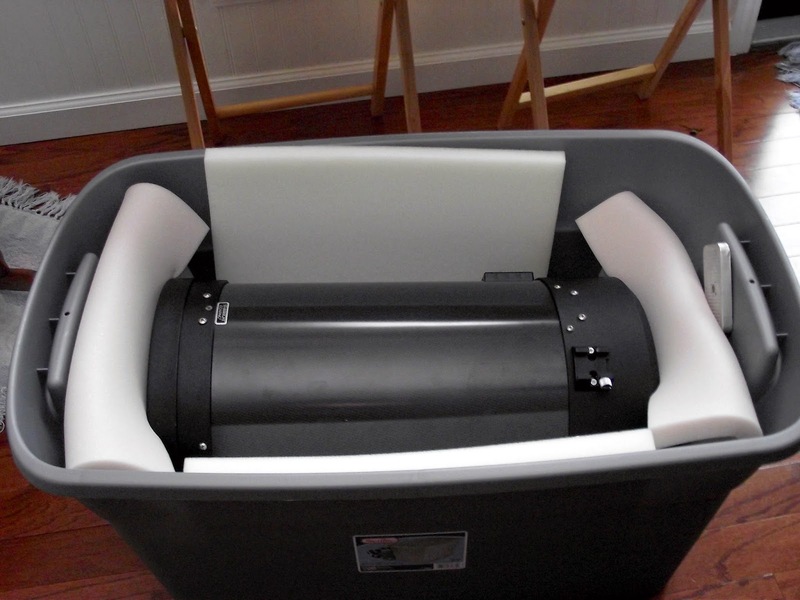 I can achieve some resolution with my 80nn APO on good nights, and certainly I can with the C102 4-inch refractor under clearer skies, so it’s not out of the question that Eloise might pull out a few suns from M13 on a superior evening, even in the backyard. Anyhow, I thought the cluster looked better in the 3-inch refractor than she does in the average 4-inch reflector. M92, Hercules’ other globular star cluster is a good target for medium aperture telescopes under reasonable skies. It is in no way a rival of M13 for appearance, but it is good nevertheless. For a little scope peering up through humid haze? Not so much. M92 looked pretty good, all things considered, and did appear somewhat grainy, but I didn’t see any stars. As with M13, however, the Megrez will pick out a few on an OK backyard night, so I expect Miss Eloise might be able to do the same. I thought I’d look for M51, and look I did, but no M51 did I see. That was not overly surprising considering the sky and the fact that it was getting worse as the night grew older. I was somewhat disappointed at first, but recalled that in the past, even years ago when my eyesight was no doubt more acute, I have had a very difficult time making out the two blobs that are M51 and NGC 5195 with a 6-inch Newtonians on nights such as this one. M27 wasn’t exactly at its best, but it was there. If I’d waited for it to get a little higher, it would no doubt have been better, but despite Deep Woods Off and a citronella candle, I was literally being eaten alive by mosquitoes. As it was, the Dumbbell was a not too bad fuzzy oval at medium power. Do you like double stars? I always have, even though I’ve gone through periods when I haven’t observed them much. One thing I know is that a longer focal length 3-inch refractor can be a powerful portable tool for viewing double stars within the limits of its resolving power. Stars are quite tight in Eloise, and she can frankly best somewhat larger reflectors on binaries. How about Polaris, then? Uh-uh, no joy. Polaris can occasionally be a challenge for a 4-inch, so I wasn't too disappointed not to pick out the companion. I don't think the problem was resolving power, but more the dimness of the comes in the hazy, transparency-challenged skies. The three inch proved herself, mostly, and I think will serve admirably while I wait to see what the story is with my current infirmity. If my back goes back to normal, out comes the 10-inch. If not, if I have to baby it and seek treatment, the 3-inch, maybe supplemented by the ETX, perhaps on a new mount, will be it for a while I fear. No, 3-inches or even 5-inches is not in the same performance league as 10-inches, but I’d rather see something than nothing, and seeing what you can pull out with a wee scope is, I must reluctantly admit, challenging fun! Thankfully my back problem (which turned out to be arthritis) has abated of late, if not gone away completely, and I have gone back to using the 10-inch in the backyard. However, I began thinking about this article for another reason: I'm developing this crazy idea of attacking the Herschel with a 6-inch telescope (my 6-inch refractor). I don't just mean the H-400, but the Herschel II, at least. As above, a 3-inch will do well on the Messiers (even if you have to leave a few toughies like M74 for dark skies). But how many Herschels can you see with a 6-inch in imperfect conditions? We may find out as fall and better observing weather comes in. Otherwise? Charity Hope Valentine says, "Reports of my death have been exaggerated." Sometimes when fearing the worst, you see what you want to see. There were no lightning-exploded ICs in the Autostar. The problem turned out to be the HC's connection to the telescope. One of the pins in the female RJ-socket on the drive base had gotten bent somehow. Fixed that, and the old girl immediately revived! That for me is an interesting and relevant topic and one I’ve been thinking about more than a little for the last year and a half. It is also not one I find at all depressing...it's just life and the inevitable conclusion to that story. As we retire or at least proceed past middle age, it is something that demands our attention even if, like me, you are pretty sure your last page hasn't yet been written (or at least read by you). Why am I thinking these (supposedly) gloomy thoughts? No, I am not planning on checking out anytime soon, but I have to admit I am definitely well into my spring semester. It's not like I'm approaching final exam week yet, but I am at least coming up on midterms. It is time to ponder these sorts of questions. If there were a title I'd bestow upon my current mindset, it would be the title of this blog entry: "Lo, there shall be an ending." As a natural consequence of months I’ve spent ruminating on my life’s journey, the Universe, and my place in it, I began to consider one of my life’s big passions, astronomy. Which led to me thinking about all the astro-stuff I’ve accumulated, mostly over the last 30 years, thanks to that passion. Like Barry, I had begun wondering about and worrying about what the heck to do with it all. Surveying my gear, I realized I'd become something of a telescope hoarder. I won't say "collector," because what I had was mostly (though not all) Fords and Chevys, Meades and Celestrons. Utilitarian telescopes I liked and used. Or liked, anyway. 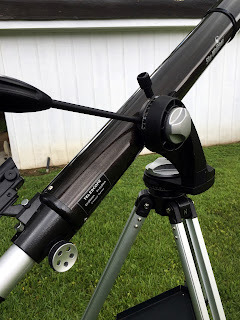 It became clear to me that over the last decade or two I had strayed from my long time precept that telescopes are tools, and that they had become an end in themselves. In my late 40s I got into the habit acquiring stuff I did not need: "Well, that's a nice C8. Be good to have a backup. And she is so pretty." Soon I had backups of backups. When I finally decided to take stock about a year ago, to take inventory of all my astro-stuff, I gotta tell you I was a bit shocked. My shop/garage, “the Batcave,” was host to over 20 telescopes, several of them heavy or otherwise cantankerous to the point where I knew I would seldom (if ever again) use them. And there was another herd inside the house. It became clear to me this wasn’t a good thing for either my physical or mental health. 15 years ago I’d have reveled in it all. Not now. 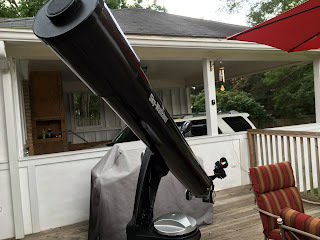 My central concern was that the scopes, mounts, accessories, and all the rest of the stuff that was the result of 50 years as an amateur astronomer not be a problem for my wife, or my kids, or my friends when I shuffle off this mortal coil. Whether that be in 10 or 20 or even 30 years--or tomorrow. The approach I took was "Anything that doesn't get used has to GO," and I got work to reduce telescope headcount. First on the chopping block were three standard C8s. I have a Celestron Edge 800 and that is the SCT I use when I use SCTs these days (I mostly do refractors of late for a variety of reasons), and I didn't need three standard C8s. Hell, nobody really needs three extra C8s. I had them because I could have them. All three went to good homes and brought in some money. Next up was my beloved truss tube Dobsonian "Old Betsy,” a time-honored 12-inch I’ve had since the early 1990s. She was an older design truss and quite heavy for me in these days when I have a back that occasionally complains. I made a good deal on her with a young couple who were enthusiastic about astronomy. I really hated to let Bets go—so many pleasant memories of using her—but what good was she doing sitting on the floor of the Batcave rotting away month after month? And I still have those memories. There was also my retro telescope, my Criterion RV-6 Dynascope Newtonian. If I'd bought this one back in the day, I'd have had a hard time parting with her, but she was given to me some years ago, so it was easier to let go. Beautiful primary, drive worked fine, amazing performer. I sold the RV-6 rather than giving her away in hopes that placing some monetary value on her would give the person who bought her the impetus to take care of and use her and that appears to have happened. My carbon fiber C11 OTA. It has taken quite a while to get up the gumption to sell her. I can remember, when I got her just after the turn of the century, going around for days with my head in the clouds chanting, “I have a C11, I have a C11!” But I'm pretty sure I will part with her. She, Big Bertha, does me no good sitting in her case in a closet night after night when she could be making some younger amateur happy. She is just too heavy for me even now and that trumps everything else. An 8-inch f/5 Dobsonian. This ultra portable 8 has, alas, a somewhat bum focuser that needs to be replaced before I sell her (one of JMI's ridiculously bad RCF focusers). Or I might just give her away to a good home crappy focuser included. She's a pretty, pretty telescope but simply doesn't get used. Like the 12-inch, she sits on the floor of the Batcave. My Edge 800 SCT is in this category. I don't use her too much of late, but I'd like to keep my hand in in the SCT game for one thing. For another, when I need a little more image scale for pictures, she might serve me well. Like every other scope I own, however, she could go on the chopping block as the next few years roll by. I will always have a telescope and will always observe—well, as long as I am able—but not necessarily all or even any of these current keepers will be with me to the end. Well, actually one certainly will, tail-end Charlie below. The SkyWatcher 120 Pro ED, “Hermione,” is maybe one of two or three of my remaining scopes that might be exempt from the above. She is light and she is very capable. She is today my most used telescope and I can’t ever see her becoming difficult for me to handle, even if I have to downsize her mount a little even from the Celestron VX. She shouldn't be any trouble for someone to sell or otherwise dispose of when I depart. Big Ethel, a 6-inch f/8 achromatic refractor, is something of an aberration, a skylark of a telescope when I was, I thought, done with skylarking telescopes. I bought her from Barry and she was for sure something of an indulgence. I always wanted a freaking 6-inch refractor, you see. On the up side, she will not be as much of a hassle for someone to collect/transport, etc. when I am not around as the 12-inch Dobsonian would have been. Zelda, a 10-inch GSO Dobsonian, is simple and sweet, and I intend to hold onto and use her as long as I am capable of using her. No batteries, no computers. This is what replaces the C11. With the 12 and (soon) the C11 gone, I want to have a little aperture for visual work. Unfortunately, the twinges my back is emitting of late indicate “as long as I am capable” may not be as long as I might wish. We’ll see. My most used imaging scope today—and one of my most used telescopes for any purpose—is an 80mm fluorite William Optics Megrez II. I am pretty sure she’ll will be one of the two or three with me to the end. She can do a lot and is light enough that she is at least bearable even on a camera tripod. 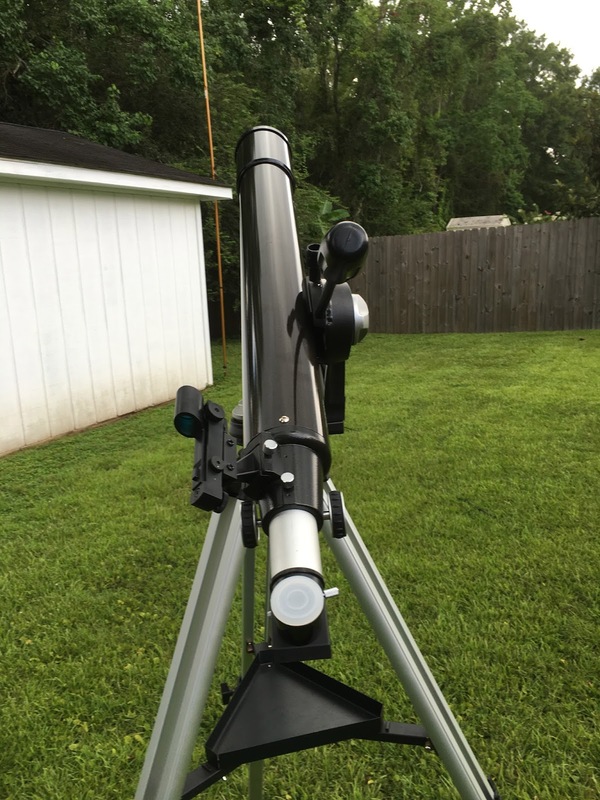 If I will likely keep the 80, I will surely keep the 66mm WO Patriot refractor. Not only is the Patriot a superb wide-field imager, she takes up virtually no room in storage, and I would have to be pretty far gone not to be able to use her at all. Also, I am constantly amazed at how much I can see with this wee telescope. I have a Celestron 4-inch f/10 C102 that gets used frequently, so she’ll likely stay along with a 3-inch f/11 SkyWatcher achromat. Both are good for when I’m feeling lazy but still want to observe with something. Unfortunately, their grab ‘n go goodness is somewhat duplicated in more elegant fashion by the two William Optics refractors, so either or both of these might hit the road at some point. Finally, there is one telescope that is a sure survivor, my Edmund Scientific Palomar Junior. This was my first scope. I will keep her to the end. After that she is on her own. The CG5 I used extensively for 10 years has found a new home. Funny thing? This inexpensive mount never failed me. Her gotos were always spot on and her tracking was more than good enough for me. Almost to the end she was out on dark observing fields grabbing Herschel 2500 objects. Not gone yet, but destined to leave soon is a Synta Atlas EQ-6. This is not a bad mount. It just never gets used due to the fact that its payload and tracking capabilities are duplicated by my CGEM. The Atlas doesn’t take up a whole lotta space in the Batcave but, once again, why hold onto something that you just let sit and rot? Several smaller mounts and accessories have also gone out the door. Stuff like EQ-1s and EQ-2s, wedges, tripods, etc., etc. None of this stuff has been missed or is likely to be. I also sold the fork/drive-base/wedge/tripod/case of the NexStar 11 when I removed the tube from the fork. I loved the setup and had used it for well over a decade, but it had become way too heavy and awkward for me. In the short term, my CGEM is staying. It’s a good mount that makes my modest imaging programs easy. However, as soon as I get to the point where I am afraid, really afraid, to mount the head on the tripod, it will have to go. If my current back problems do not abate, that will be sooner rather than later. Why do I have a CGEM as well as an EQ-6? Never could get friendly with the EQ-6 HC and was never impressed by the EQ-6’s goto accuracy, even with EQMOD. 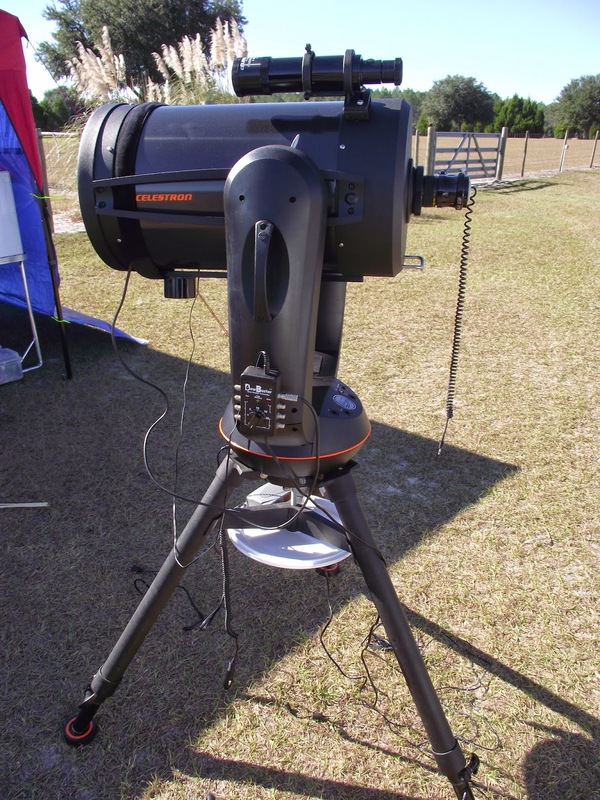 There is no reason I can think of to dispense with my SkyWatcher AZ-4 alt-azimuth mount. Not the greatest thing in the world, but it works, even with the Edge 800. If you want real grab 'n go, you want some kind of an undriven alt-az mount like this—especially one that’s so light and small. And that leaves my Celestron AVX. I presume I'll use it till it (or me) fails. Far lighter than the CGEM, but still capable of taking nice pictures if you keep the focal length of the telescope reasonable. I believe I’d have to get close to being too decrepit to dare get out on an observing field at night before I’d have to give up the VX. The astro-junk I’ve accumulated over the last half century includes more than just scopes and mounts, of course. I divested myself of my collection of decades worth of Sky & Telescope and Astronomy magazines some time back. As soon as the S&T DVDs came out, I put a huge pile of magazines on the curb (nobody, and I do mean nobody wanted them, alas). They really weren't a very practical reference tool—not like the DVDs. I kept a few from the 1960s and those I appear in and that was it. Astronomy? I still like the magazine, but I rarely open a back issue so there was no reason to keep them. Every copy of Astronomy I had went away. Other stuff? 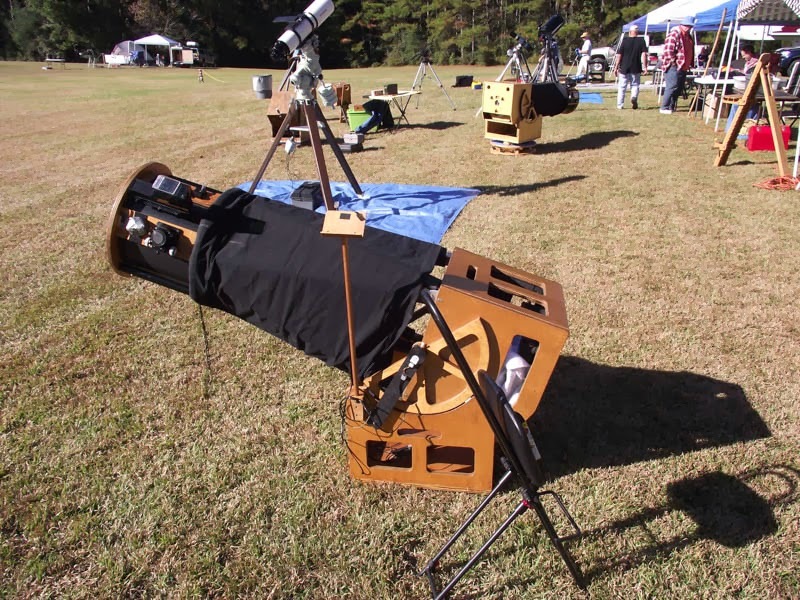 Selling and giving away telescopes has gone a long way toward thinning the eyepiece/accessory herd as well. "Have fun with your new scope and take some nice free Kellners and Plossls with you." So, there’s still some gear that needs to be OUTA HERE, and especially the C11 and Atlas, but even with a ways to go it has been absolutely FREEING to get rid of all that stuff. Those unused telescopes were actually stressing me out rather than making me happy. I'd walk past Old Betsy in the Batcave and think, "I've really GOT TO drag her out tonight" even if I didn't want to. As I said, in the beginning, I believe the last page of my story hasn't been written yet, but slowly, ever so slowly, beginning to make preparations for the last chapter and beyond—whatever that turns out to be—feels good. Is this really the end of my gear lust? Will I give in and get back on the equipment train? I don’t think so. I have rules now. I began with "Nothing comes in unless something goes out." I upped that to, "Nothing comes in unless several somethings go out," but even that didn't seem enough. Today it's "Nothing comes in unless you have sold or given away EVERYTHING. Unless you absolutely, positively have NOTHING, not even a Short Tube 80, to star gaze with." Will I stick to that? I seem to be sticking with it so far. I will say that if the VX mount went up in smoke tomorrow, I'd have to replace that with another VX or a similar mount, even if I still have the CGEM when that happens. As above, the CGEM is borderline heavy for me right now, and I really need a GEM in the VX's weight class. Actually, maybe that is about all I need mount-wise. If the VX is like the CG5, which is still going more than ten years down the road, this is not likely to be a problem anytime soon, thankfully. Beyond the reduction of my stress level, I feel relieved to be working not to leave a mess or trouble behind. Oh, don’t get dewy-eyed on me, friends. I am in good health and I plan to be observing for quite a few years yet. That's what I plan, anyhow, but you have to keep sight of the truth. And the truth, the ground truth, is in this old adage: "When your number's up, you gotta go." Don't want to cast a pall over the proceedings, but let's face it, Boomers...our numbers could be up tomorrow. I can't put it any more succinctly than that. Whatever happens, amateur astronomy and, particularly, the last thirty years of it has been quite a ride. Wouldn't trade those years for anything—well, that's not quite true. Not quite anything. But it has been fun. I loved almost every minute of it, though I must admit I view our avocation a little differently now. Biggest change in my thinking of late? What I value most at this time is not the gear I’ve owned or the sights of I’ve seen or the pictures I’ve taken, but the friendships I’ve made in our hobby. The most valuable thing about the process I’ve outlined here is that it is (in part) responsible for an epiphany. The epiphany that what matters isn’t stuff, but the people you love and the people who love you. Nothing else matters, friends.